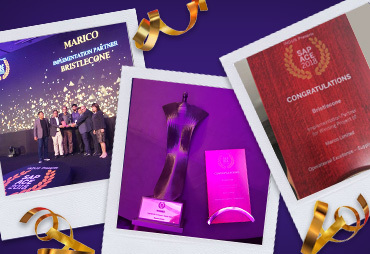 Bristlecone customer Marico Ltd. wins in the Operational Excellence – Supply Chain category, at the 11th edition of SAP ACE Awards. Bristlecone was awarded as the Implementation partner for the winning project. To unlock their Supply Chain Potential, Marico has embarked on the journey of Supply Chain transformation & Process rationalization, which will enable them to effectively drive insights from available data & automate workflows and focus on core activities. Marico partnered with Bristlecone for their Digital Supply Chain Initiatives under Project Prime II. The initiative was aimed at achieving Process Rationalization & Supply Chain Transformation.